We need volunteers – help us make the holidays happy for seniors in need! 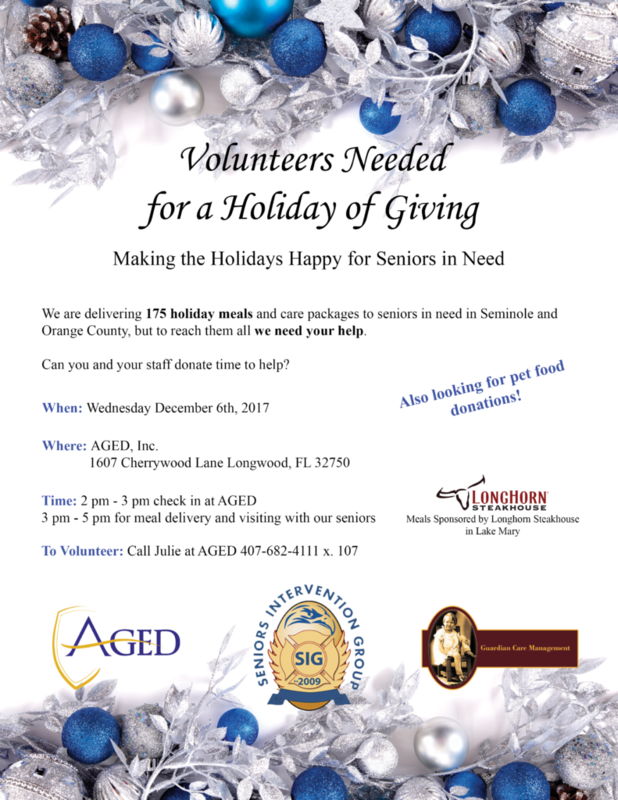 We are delivering 175 holiday meals and care packages to seniors in need in Seminole and Orange County, but to reach them all we need your help. Can you and your staff donate time to help? We are also looking for pet food donations! Special Thanks to Longhorn Steakhouse in Lake Mary for their generous sponsorship.